Four members of the Regulatory team have been appointed to the list of Specialist Regulatory Advocates in Health and Safety and Environmental Law, in an announcement made at the end of March. This means the members have been selected to prosecute on health and safety issues for bodies including the Environment Agency, Health and Safety Executive and Care Quality Commission. David Pojur has been appointed to List A.
David James has been appointed to List B. And Philip Clemo and Laura Nash have been appointed to List C.
Andrew Long remains on List A after being appointed previously. The Attorney General’s Unified List of Prosecuting Counsel closed in 2012. After this, the Health and Safety Executive (HSE), the Environment Agency (EA) and the Office of Rail Regulation, now the Office of Rail and Road (ORR), appointed a specialist list of advocates to perform their higher courts criminal advocacy and other non-criminal regulatory advocacy following a selection process (“the Regulatory List”). They were subsequently joined by Natural Resources Wales (NRW), the Care Quality Commission (CQC) and the Office for Nuclear Regulation (ONR). 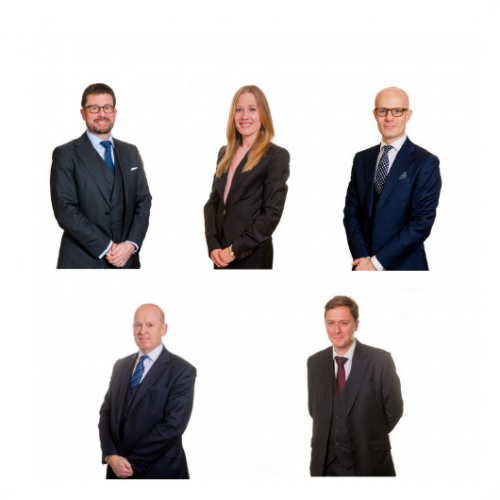 Chambers is committed to developing our Regulatory team and we are delighted that this is reflected by the multiple appointments to the panel.